Guerrero will be making his first appearance on the big league roster since appearing in both games Down Under during MLB’s Opening Series in Sydney. The 27-year-old hit .329 with 15 homers and 49 RBI in 65 games with Albuquerque, including a .356 batting average with runners in scoring position (26-for-73). 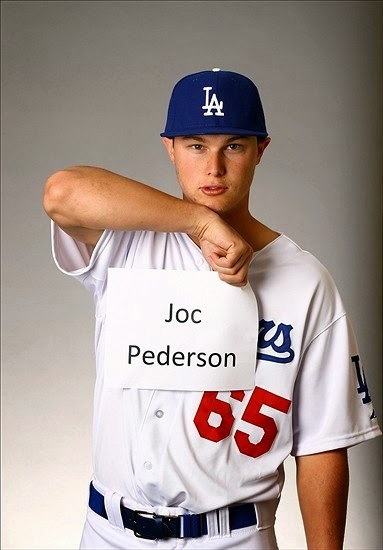 Pederson, who is making his first appearance on the Major League roster, was honored as the 2014 Pacific Coast League Most Valuable Player, the league’s Rookie of the Year and as an outfielder on the All-PCL Team, after becoming just the fourth player in the 112-year history of the Pacific Coast League to post a 30-home run/30-steal season. The 22-year-old batted .303 with 30 steals (T-7th, PCL), 17 doubles, four triples, 33 homers (1st, PCL) and 78 RBI in 121 games with Triple-A Albuquerque this year.